Hand Tool Kit accommodates most wiring projects. 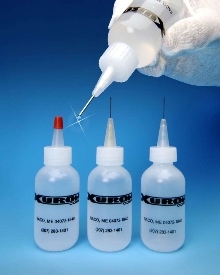 Dispensing Bottles produce precise, controlled flow. Wire Cutter/Stripper has cam dial stamped with gauge sizes. 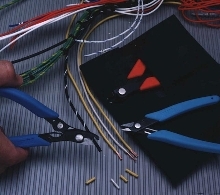 Scissor cuts cable jacketing and light metal. 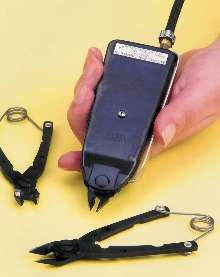 Pneumatic Wire Cutter features interchangeable cutter heads. 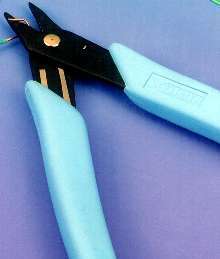 Ergonomic Wire Cutter cuts flush with minimal effort. 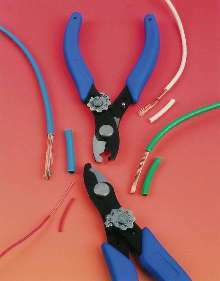 Combination Shear/Plier cuts wire, grips, and forms leads. 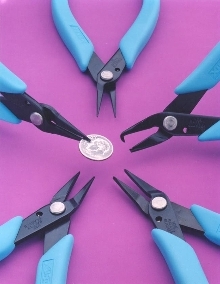 Model 475C combines full by-pass shear cutter and short nose plier into one hand tool. It is constructed from high carbon steel and has soft Xuro-Rubber(TM) cushioned hand grips and Light Touch(TM) return spring. Precise enough to grasp one human hair, product cuts up to 12 AWG copper wire. Tool is suited for various types of assembly and wire processing. Hard Wire Cutter produces square cuts. Suited for assembly and maintenance technicians, Xuron 2193F Hard Wire Shear features self-adjusting clamping fixtures that hold wire perpendicular to jaws. Full by-pass shearing action produces square cuts on both ends of hardened and tempered wire. Capable of cutting 0.064 in. 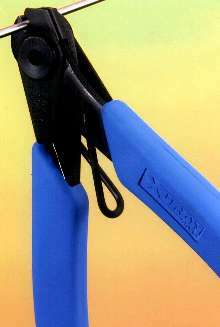 (14 AWG) music wire, unit is ergonomically constructed with Xuro-Rubber(TM) hand grips and low-impact return spring. 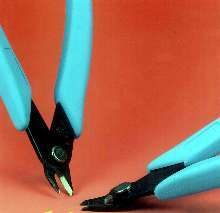 Pliers place items, and bend or form wire. 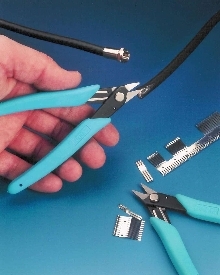 Wire Stripper Kit includes cutter, stripper, and slitter.